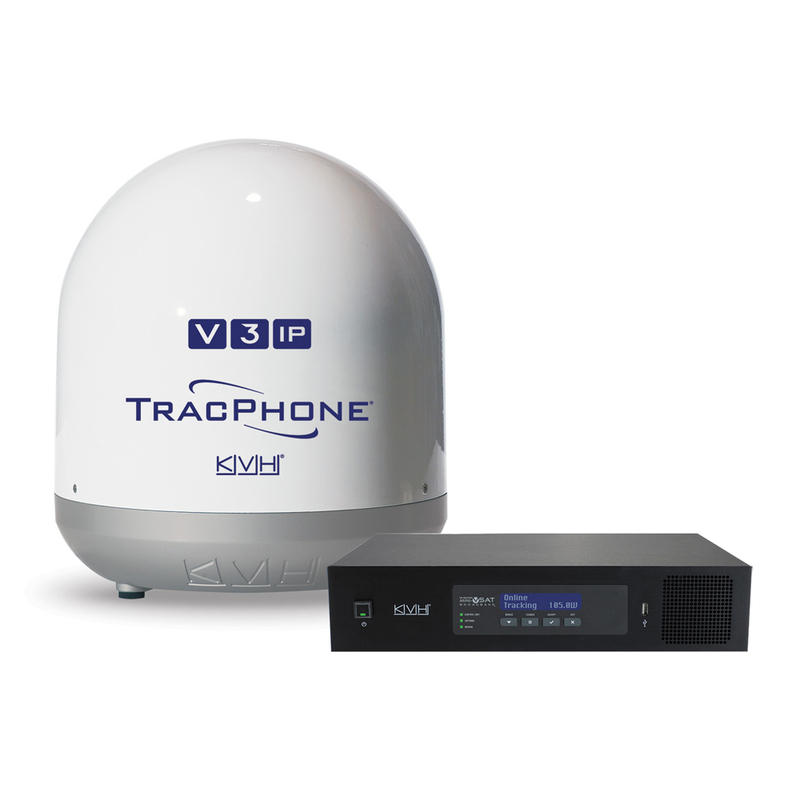 The ultra-compact TracPhone V3IP provides always-on broadband data connections, an integrated voice line, worldwide coverage from the mini-VSAT Broadband network, and dramatically reduced airtime costs. All VIP-Series products include KVH's Integrated CommBox Modem with IP-enabled antenna control unit, CommBox™ Network Manager, ArcLight® spread spectrum modem, Voice over IP, Ethernet switch and Wi-Fi capabilities. Systems also features a browser-based user interface and convenient iPhone® app for system status, updates and support.